Swift Locksmith Edinburgh provides you with a 24 hour locksmith service across the whole city. Each day of our life is different and brings us a new challenge when we need to think on feet and find the best solution in the least possible time. In challenging situations like this it’s good to be with someone who we can discuss the problem and rely for a solution to the problem. Call Swift Locksmiths Edinburgh. But what do we do when we are all alone and stressed while trying to find the solution? If you are stuck for what your new year’s resolution will be this year, why not make it a home security survey with one of our team at locksmith Edinburgh. We see making a new year’s resolution which is of great value and of little effort, is something that might be something that may be of interest and great benefit to you. 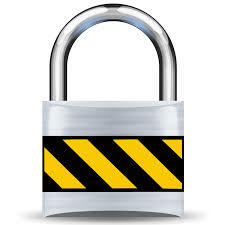 A security survey performed by one of our experts at locksmith Edinburgh doesn’t take long, and it factors in many things, both in term of what type of area you are located in, the layout of your property and we can help you identify any type of risks that may need immediate attention. So feel free to give locksmith Edinburgh a call to book in your security survey today, we are flexible of nature and can come at a time which is suiting to your schedule, and help make sure that you keep safe and secure in the new year to come. For all of the team members here, it’s paramount to keep up with the times and technologies on the market, but not only that. Here at locksmith Edinburgh we are also dedicated to make sure that we are up to date with the product developments also on the style side. There are many new designs, that are not only made in the most advanced mechanical structures, but in beautiful styles and great looking material. So for locksmith Edinburgh, the question of locks are also a question of individuality, to the person and a person’s home or business space. If you were planning on getting a new modern lock installed get in touch with us here, we can guide you though all the products and styles available currently on the market, and in addition advice you on what we think is suitable from a more technical and mechanical point of view. We’ll also be able to aid you with any type of uncertainty, and locksmith Edinburgh can provide answers to most any questions with regards to the locks and security that you may have. So why not ask one of our lovely and friendly team members for advice today? The security industry is always on the move, and the team here at locksmith Edinburgh understands the importance of always keeping with the times and the newly released technologies. There is only one way to give you the most secure and suitable options for security, and that is to make sure that we provide only the highest quality products and the best quality of advice on what is suitable for specific customer needs. There may be some security weaknesses at the premises of your office, or maybe at your private property that our expert team can help advice you on. Our team here at locksmith Edinburgh are trained to perform security surveys where we can identify potential risks whilst surveying the area. To make sure we can provide you with the best complete security solutions not only the highest lock technology, but also the most integrated and suiting alarm and warning systems for you. What ever your security needs are, you can be sure to always be provided with the highest standard of quality from locksmith Edinburgh. Everyone here are dedicated to the safety of your home, your investments and your belongings, and we really care for our customers. So come see us here in the locksmith Edinburgh store, and we will be able to advice you on the latest and most suiting products juts for you. Once over the cost of getting a modern electric alarm system installed for your property was something considered a to have a high price tag. Here at locksmith Edinburgh we just want to let you know that this is no longer the case. With the advances in technologies and innovation on the industry market, new and more affordable products hit the industry market. As we are always making sure we are up to date with the current industry market, we can also make sure that we also provide the best and most affordable solutions for our customers. At locksmith Edinburgh we think that a house is more than just a building, it’s a home, with memories and priceless things. It is something worth taking care of and protecting, and that is something we can help you with here at locksmith Edinburgh. If you give us a call and speak to one of our friendly and experienced staff, we will help give you advice on any questions you may have, and on what type of solution is best for you. And of course here we care for our customers. When it comes to caring for the local community, and making sure all who seek services within the region of locks and security, locksmith Edinburgh take great pride in always being dedicated and perform their services to the highest standards of customer satisfaction. 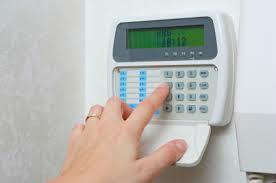 If you are in need of advice on security matters get in touch today. You are sure to be met by a friendly, professional and caring team member. Of course all the locksmiths in the team are highly educated in within the industry and highly knowledgeable in both practical installations, as well as identifying potential threats to your security in theory. As locksmith Edinburgh come with a good reputation, and are keen to keep this you can expect only the best level of customer care. Where emphasis is placed on the customer and the customer security needs and keeping a high level of professionalism. So if you are looking for a local, and friendly, yet flexible and professional approach, locksmith Edinburgh is who you need to get in contact with. No matter what service it is that you are in need of, the staff there will always provide a quick and easy service. One which is reliable and always makes sure that nothing is left to chance. I was confident that I would definitely receive help from Locksmith Edinburgh since they work 24*7 and consider each lockout case as emergency. Locksmith Edinburgh took my call professionally and based on my location promised to reach me in 20 minutes, which they did. I was not only surprised but also impressed when they promptly reached my location. The team came up with all their latest tools and took no more than 15 minutes to open the door for me. I could not thank them enough. I was happy they considered my request seriously and came to sort out my problem. 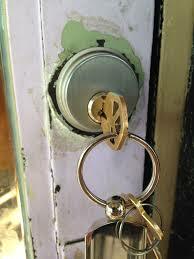 Locksmith Edinburgh is the team of friendly professionals who are experts in their field. They are qualified professionals and know their job thoroughly. It was not long before I got access to my property again and could enter my house. I was glad that my friend referred their service in the hour of need. Before leaving those professionals assured me once again that everything was fine and that they are happy to help at any point of time. I decided to store their number and also referred their service to my friends for such critical time of need. Thanks to Locksmith Edinburgh professionals for their help!!! The warmest day of the year hit the UK yesterday, and it was indeed boiling. The team here at locksmith Edinburgh would like to wish you everyone the best rest of the summer, and hope that the radiant weather will keep for as long as possible. Our lovely team here at locksmith Edinburgh would like to send out a little warning thought, if this warm weather, or wanting to keep in the heat a bit longer has driven you to book a holiday away for later this year. 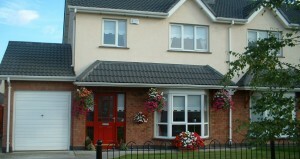 We would like to advise you to make sure your security for your home is up to date. This due to the fact that often when a home is left unattended for longer periods of time the risk for home intrusion goes up. In Edinburgh we see, that unfortunately not everyone has good intension and the need for security has become bigger. But what we also see as something fortunate is that good security is now much more affordable, and if you are stuck in a miss conception of a price that will be too high for you, get in touch with us and we’ll give you competitive quotes that may surprise you. So if you are going away, leaving your home for a little while, why not leave the security to our professional team at locksmith Edinburgh, we know what we are doing, we have done it for a long time! So the best summer and holiday wishes from us here at locksmith Edinburgh, and feel free to get in touch with any type of query or question you may have.